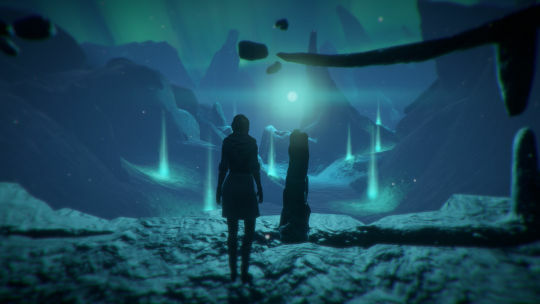 I have just finished playing the first chapter of Red Thread’s episodical fantasy adventure game Dreamfall Chapters…For those who aren’t familiar with it, Dreamfall Chapters is a game that started being released in 2014. It is the direct sequel to Dreamfall, which was released in 2006, which itself was a continuation of The Longest Journey, which was released in 1999. These two games were released by Funcom. This type of game is really up my alley (which you would already know, if you’ve read my posts on Life is Strange) and I purchased it without hesitation from Steam when it came out last year. So why has it taken me this long to complete the first chapter? The Dreamfall games have a lot going for them: impressive visuals and music, plus interesting characters and storylines. However, the gameplay can be frustratingly vague at times. The first time I played it, I got stuck: I spent hours trying to work out how to solve a particular puzzle and in the end, I had to throw in the towel. As someone who has played and completed many puzzle games in the past, this annoyed me greatly. Enough, in fact, for me to put Dreamfall Chapters aside and resign myself to the fact that I might never bother to complete it. Then, about a week ago, I noticed that Steam was installing a major update to Dreamfall Chapters, so I decided to find out what this update was for. As it turns out, it was an engine upgrade, from Unity 4.6 to Unity 5.2. Apparently, this improved game performance, so I decided to give the game another go. Like Life is Strange, Dreamfall Chapters uses player choices to craft the plot: things you do (or don’t do) will affect the story, as the game progresses. In the end there might only be a single outcome at the end, but you are able to decide what route the protagonist travels to get to that outcome. Anyway, playing Dreamfall Chapters for the second time, I started from the very beginning again and I was certain I was making the same choices as I did the first time, but as it turns out I chose slightly differently. I know this because this time I avoided the puzzle that annoyed me so much the first time all together. And you can be sure I was pretty happy about that! So I am enjoying playing Dreamfall Chapters now. After I post this, I’ll probably start the second chapter. There are five chapters in total and so far three have been released, so I’ll probably have more to say about this game in the future, but for now it’s au revoir, arrivederci and may the force be with you! This entry was posted in Games, Western and tagged Dreamfall Chapters by maruserino. Bookmark the permalink.